For One hundred and Forty years, and five generations of family ownership, stands Cheoy Lee in a small but distinguished group of yacht builders whose dedication, experience and longevity is beyond doubt. Today Cheoy Lee's annual output regularly exceed 10,000 tonnes of vessels, destined for the world market. 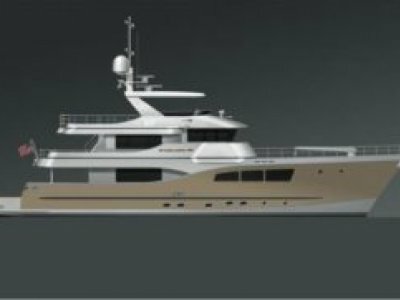 All Cheoy Lee yachts are based on efficient and seaworthy hull forms. Naval architecture precedes and therefor dictates internal compartment volumes and available space, not vice-versa. 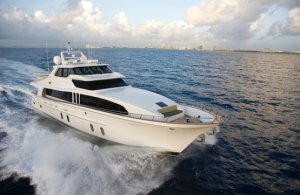 This uncompromising approach has earned Cheoy Lee a reputation among captains and owners alike for yachts that perform beyond expectations. At sea, comfort on board is a function of solid naval architectural principles, not excessive attention to interior volume that can lead quite to the contrary. Whether charging at 25 knots, or enjoying the yacht's misery consumption and two thousand mile range at a more sedate 10 knots, the Global 100 will deliver you in safety and comfort. 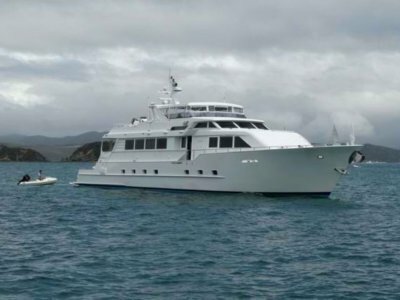 RELAX in your after-hours retreat, magnificently catered for on this remarkable yacht. 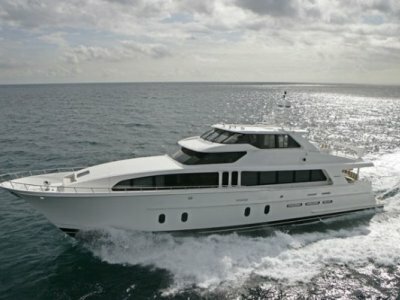 Practically merges seamlessly with the height of luxury for unforgettable adventures with friends and family. Naval Architect: M. G. Burvenich, Inc. Structural Design: High Modulus, Inc.